I’ll be celebrating my first Mother’s Day this year, and the cliche of eating off of a tray in bed sounds downright appealing. Not sure what my husband has up his sleeve, but do have my doubts that he could man a stove while wrangling our active 10-month old. (The “hot breakfast” is always a dual-parenting endeavor at our house). So, that’s where this recipe comes in. 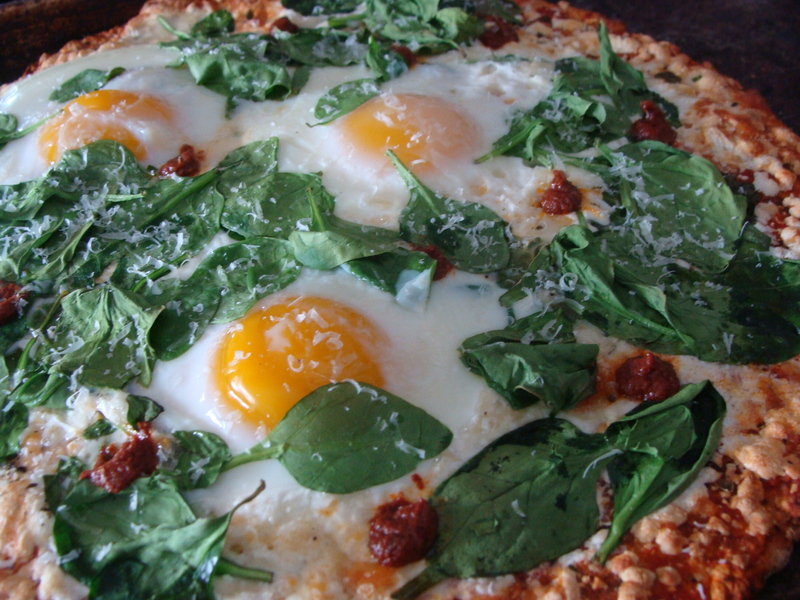 Quick, yet impressive, it’s a breakfast pizza with warm, runny farm-fresh eggs and the umami paste, Taste No. 5. Umami is a Japanese word meaning deliciousness and is thought to be the fifth taste after sweet, salty, sour and bitter. In one tube of Taste No. 5, you get a combination of tomato, garlic, anchovy paste, black olives, balsamic vinegar, porcini mushrooms, parmesan cheese, olive oil and a touch of sugar and salt–!!! 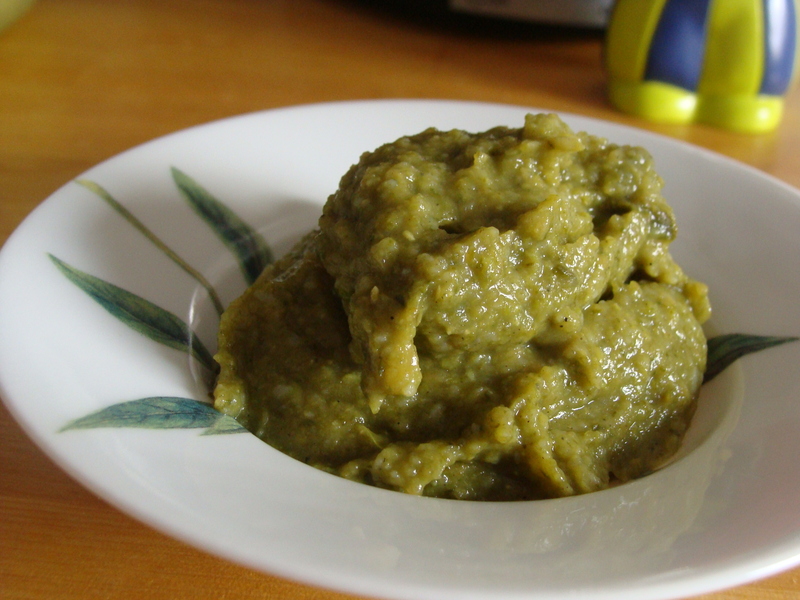 They say umami is the flavor that makes your mouth water, and what Mom doesn’t deserve that? Need I also mention it’s pizza, so Mom can eat with her hands, in bed, while someone else rubs her feet. Follow cooking directions on the pizza package. Before placing in oven, carefully crack the eggs onto the pizza, spacing evenly. About 2-3 minutes before pizza is finished add the spinach, it should just wilt. Test the doneness of the eggs–you want the whites fully set up, and the yolks to jiggle a bit (do NOT over-cook, you want the egg yolk to be warm and runny when eaten). Remove pizza from oven, dot with the umami paste and sprinkle with the cheese. Slice into thirds, one egg per piece. Serve right away.